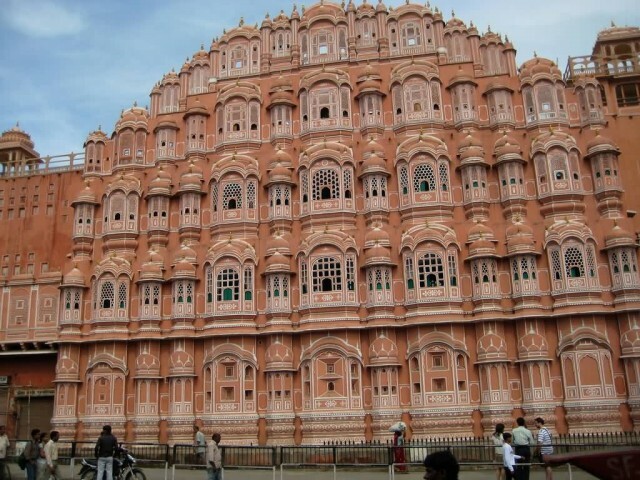 Hawa Mahal is a palace in Jaipur, India, so named because it was essentially a high screen wall built so the women of the royal household could observe street festivities while unseen from the outside. Constructed of red and pink sandstone, the palace sits on the edge of the City Palace, and extends to the zenana, or women’s chambers. The structure was built in 1799 by Maharaja Sawai Pratap Singh designed by Lal Chand Ustad in the form of the crown of Krishna, the Hindu god. The palace is a five-storey pyramidal shaped monument that rises 50 feet from its high base. The top three floors of the structure have a dimension of one room width while the first and second floors have patios in front of them. Entry to the Hawa Mahal is not from the front but from a side road to the rear end. Facing the Hawa Mahal, turning right and again to the first right, leads to an archway entry and then to the rear side of the building. It is particularly striking when viewed early in the morning, lit with the golden light of sunrise. 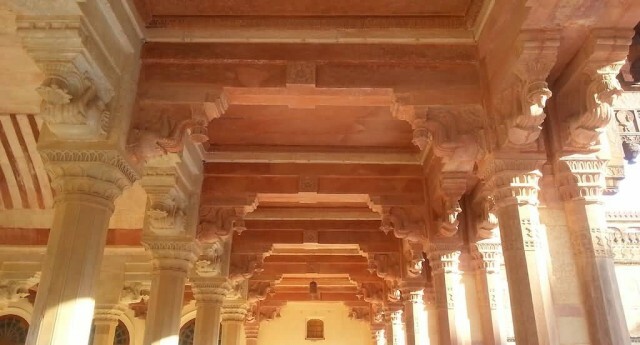 The Mahal is maintained by the archaeological Department of the Government of Rajasthan. 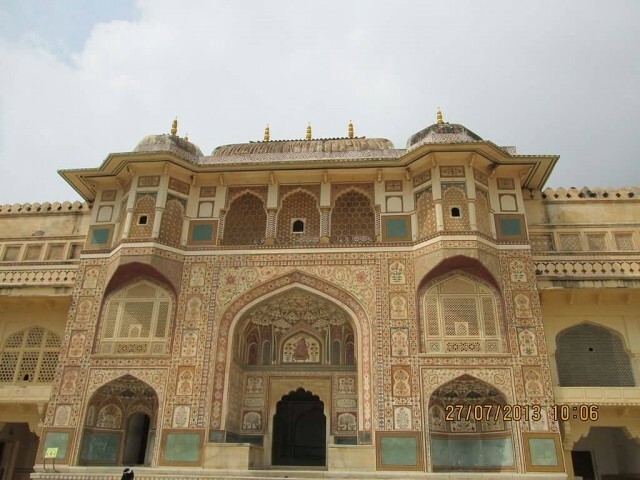 Amer Palace is located in Amer, a town with an area of 4 square kilometres, located 11 kilometres from Jaipur, Rajasthan state, India. 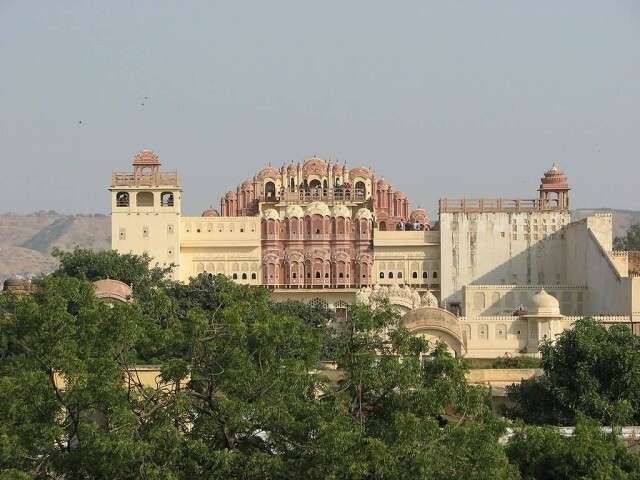 Located high on a hill, it is the principal tourist attractions in the Jaipur area. The town of Amer was originally built by Meenas and later it was ruled by Raja Man Singh. 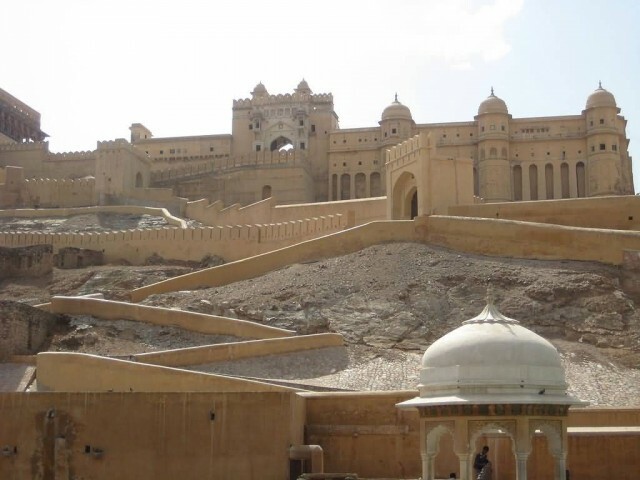 Amer Fort is known for its artistic Hindu style elements. With its large ramparts and series of gates and cobbled paths, the fort overlooks Maota Lake. 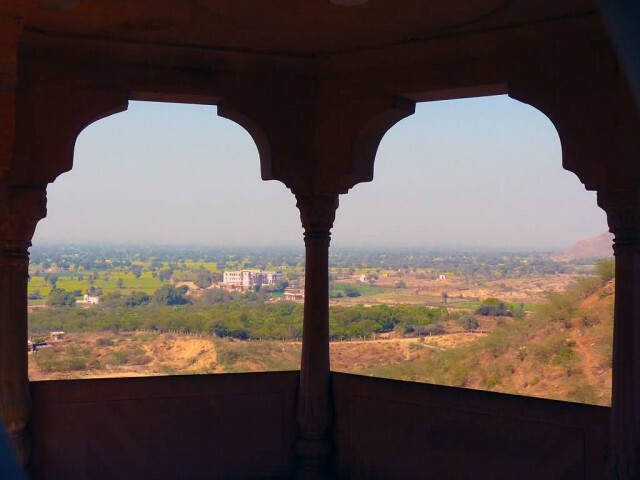 This palace, along with Jaigarh Fort, is located immediately above on the Cheel ka Teela (Hill of Eagles) of the same Aravalli range of hills. 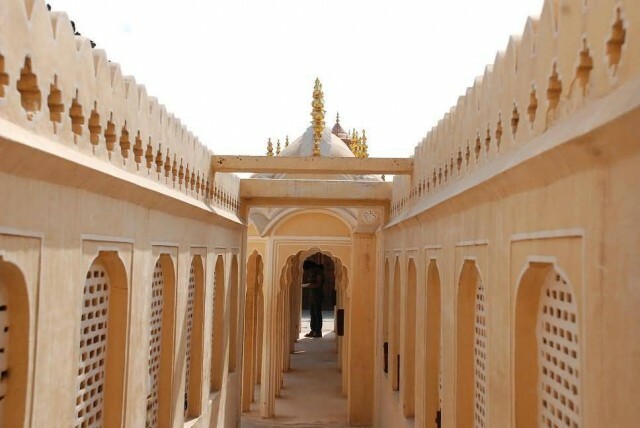 Annual tourist visitation to the Amer Palace was reported by the Superintendent of the Department of Archaeology and Museums as 5000 visitors a day, with 1.4 million visitors during 2007. 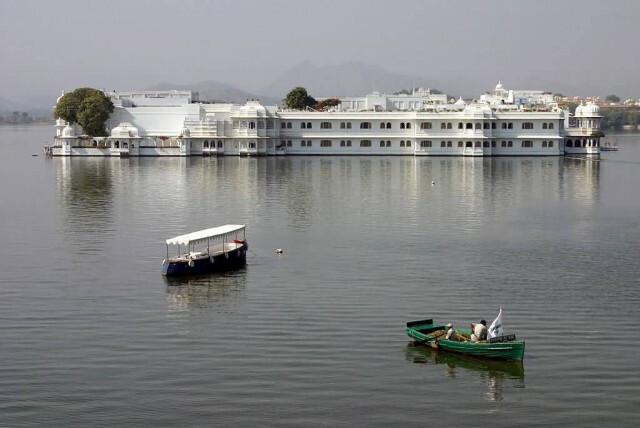 Lake Palace (formerly known as Jag Niwas) is a luxury hotel, which has 83 rooms and suites featuring white marble walls. The Lake Palace is located on the island of Jag Niwas in Lake Pichola, Udaipur, India and its natural foundation spans 4 acres. The hotel operates a speed boat which transports guests to the hotel from a jetty at the City Palace. 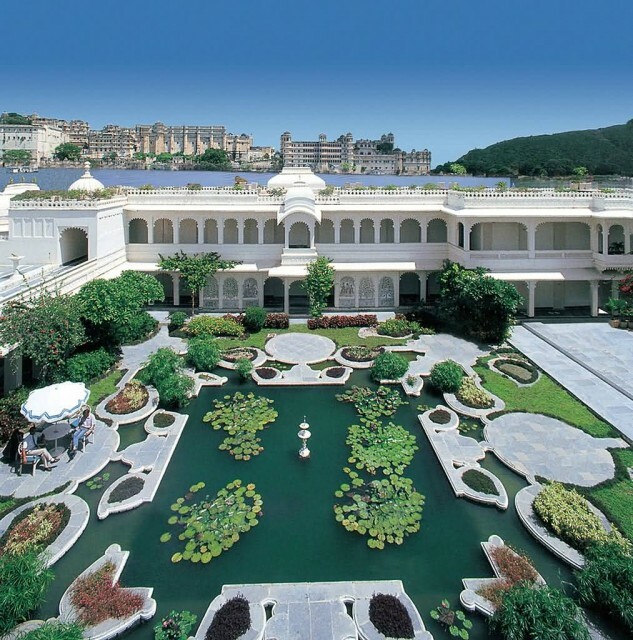 It has been voted as the most romantic hotel in India and in the world. 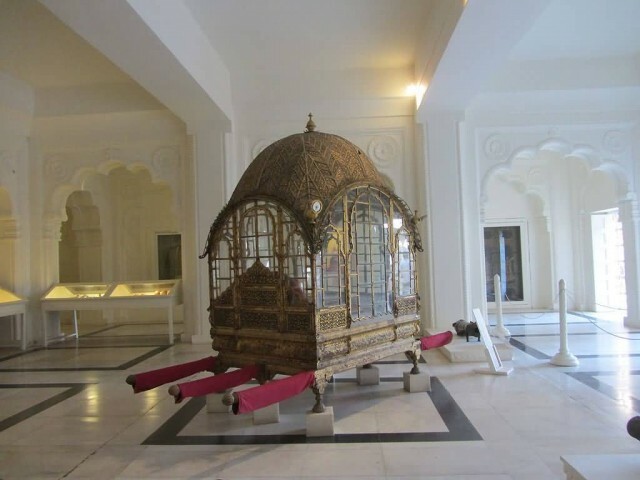 It was built between 1743- 1746 under the direction of the Maharana Jagat Singh II. The upper room of the palace is a perfect circle and is about 21 feet in diameter. 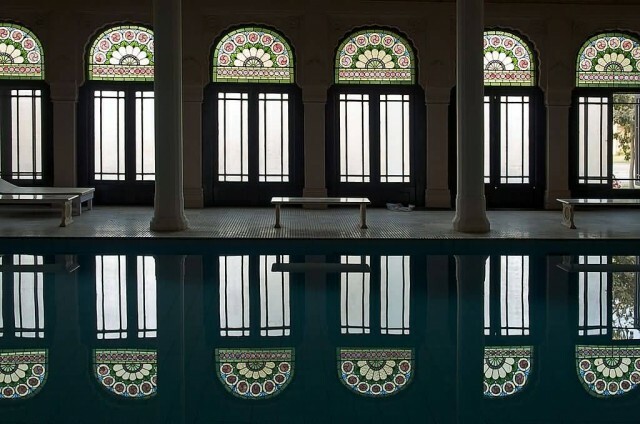 Its floor is inlaid with black and white marbles, the walls are ornamented with niches and decorated with arabesques of different colored stones dome is exquisitely beautiful in form. The upper room of the palace is a perfect circle and is about 21 feet in diameter. Its floor is inlaid with black and white marbles, the walls are ornamented with niches and decorated with arabesques of different colored stones dome is exquisitely beautiful in form. 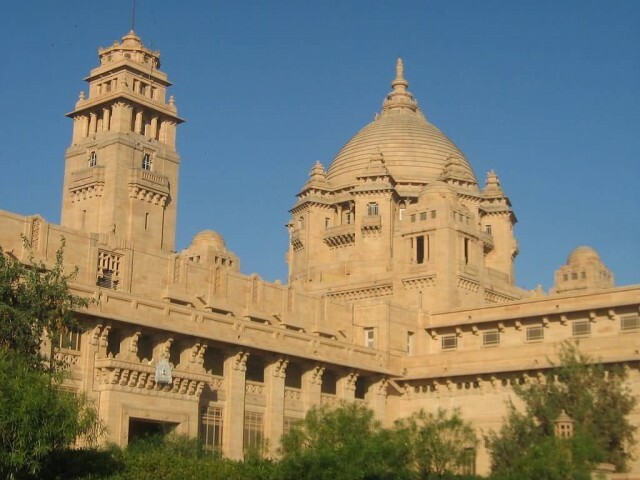 Umaid Bhawan Palace, located at Jodhpur in Rajasthan, India, is one of the world’s largest private residences. A part of the palace is managed by Taj Hotels. 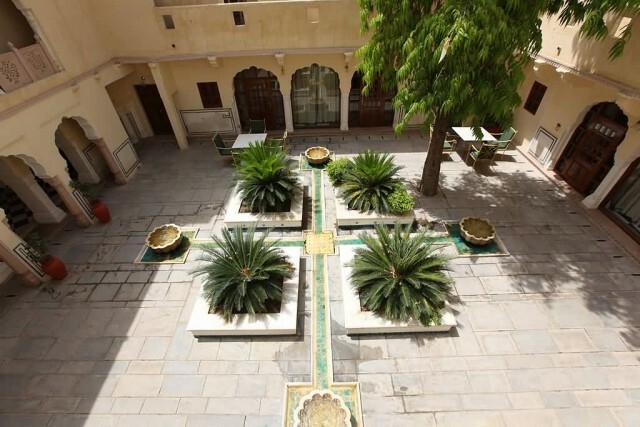 Named after Maharaja Umaid Singh, grandfather of the present owners of the palace, this monument has 347 rooms and serves as the principal residence of the erstwhile Jodhpur royal family. Umaid Bhawan Palace was called Chittar Palace during its construction due to use of stones commonly known as Chittar in the building. Ground for the foundations of the building was broken on 18 November 1929 by erstwhile Maharaja Umaid Singh and the construction work was completed in 1943. The Palace was built to provide employment to thousands of people during the time of famine. The present owner of the Palace is Gaj Singh. 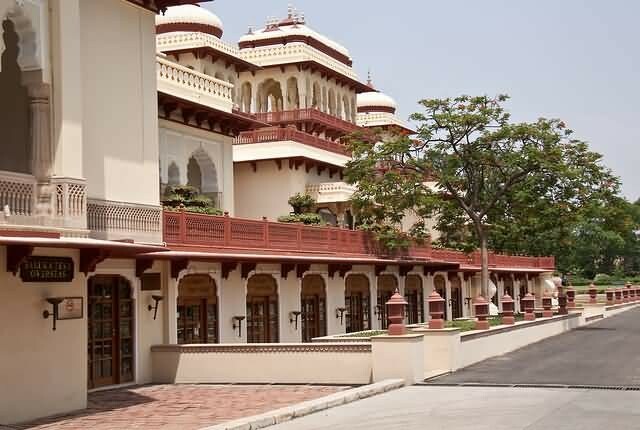 The Palace is divided into three functional parts, a luxury Taj Palace Hotel (in existence since 1972), the residence of the owner’s royal family and a Museum focusing on the 20th century history of the Jodhpur Royal Family. The opening hours of this museum are 9 am to 5 pm. There is also a gallery showcasing the most exotic automobiles owned by the royals. The Rambagh Palace in Jaipur, Rajasthan is the former residence of the Maharaja of Jaipur and now a hotel, located 5 miles outside of the walls of the city of Jaipur on Bhawani Singh Road. The first building on the site was a garden house built in 1835 for the wet nurse of prince Ram Singh II. In 1887, during the reign of Maharaja Sawai Madho Singh, it was converted into a modest royal hunting lodge, as the house was located in the midst of a thick forest at that time. 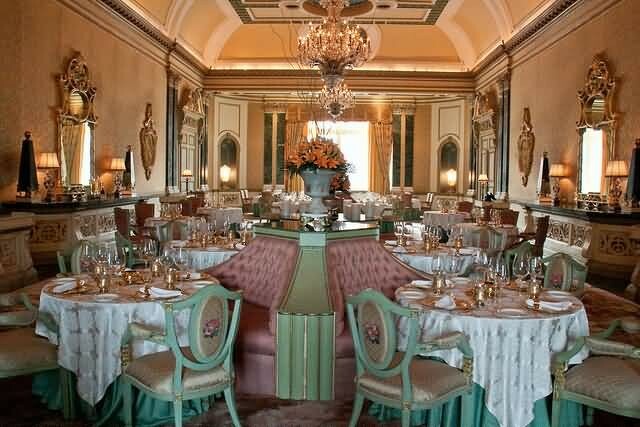 In the early 20th century, it was expanded into a palace to the designs of Sir Samuel Swinton Jacob.Sep 2009 it was rated as the best hotel in the world by Conde Nast Traveller magazine. 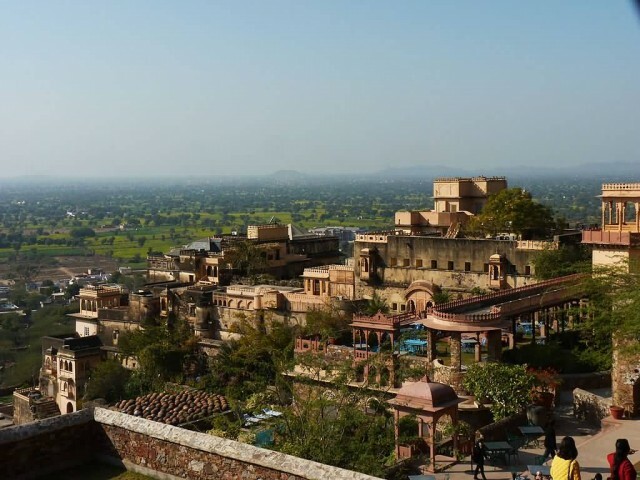 Neemrana is an ancient historical town in Alwar district of Rajasthan, India, situated at 122 km from Delhi on the Delhi-Jaipur highway in Behror tehsil. It is situated in between Behror and Shahajahanpur. Built from 1464 AD, Neemrana Fort-Palace is located on a high hillock and commands magnificent views of the surrounding beauty. It is among India’s oldest heritage resort hotels, as it was created in 1986. Its name derives from a valiant local chieftain named Nimola Meo. The Chauhan capital was shifted from Mandhan to Neemrana when the fort was established by Raja Dup Raj in 1467. Nowadays, the Neemrana fort is a heritage resort. 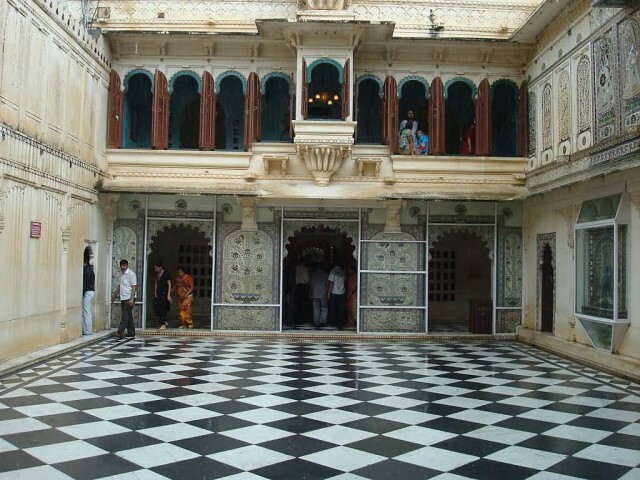 City Palace, Udaipur, is a palace complex in Udaipur, in the Indian state Rajasthan. 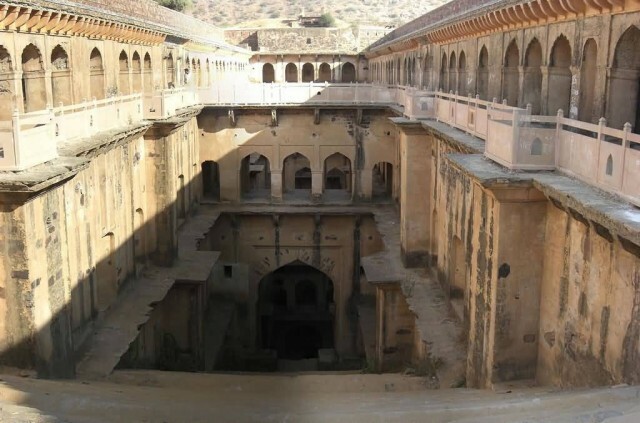 It was built over a period of nearly 400 years being contributed by several kings of the dynasty, starting by the Maharana Udai Singh II as the capital of the Sisodia Rajput clan in 1559, after he moved from Chittor. It is located on the east bank of the Lake Pichola and has several palaces built within its complex. Is set with an average elevation of 598 metres. 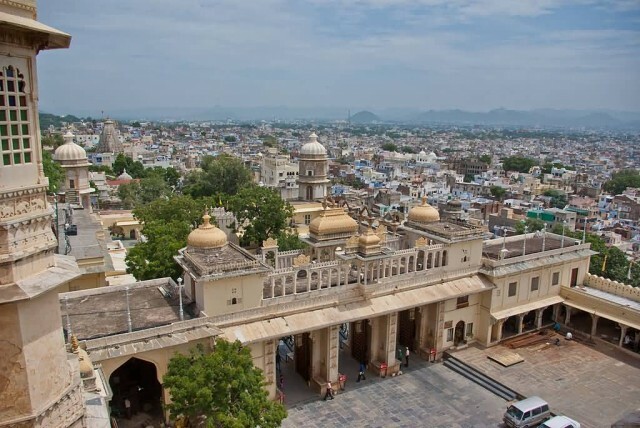 The climate of Udaipur reflects the climate at the city palace. It is tropical, with the mercury recording between a maximum of 38.3 °C and a minimum of 28.8 °C during summers. Winter is cold with the maximum temperature rising to 28 °C and the minimum dipping to 11.6 °C. The average annual rainfall is 25 inches. 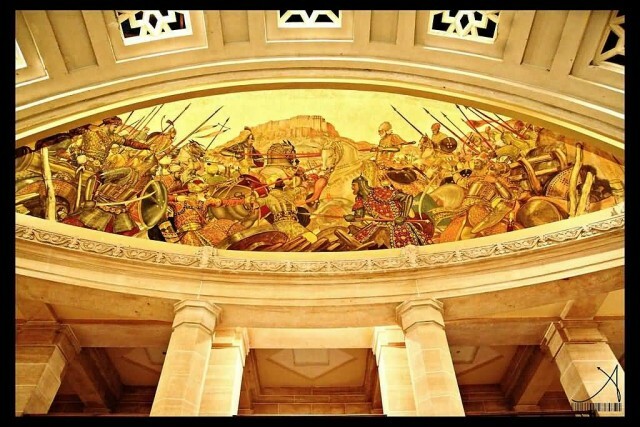 The palace was used for filming part of Goliyon Ki Raasleela Ram-Leela , English: A Play of Bullets, Ram-Leela)2013 directed by Sanjay Leela Bhansali. 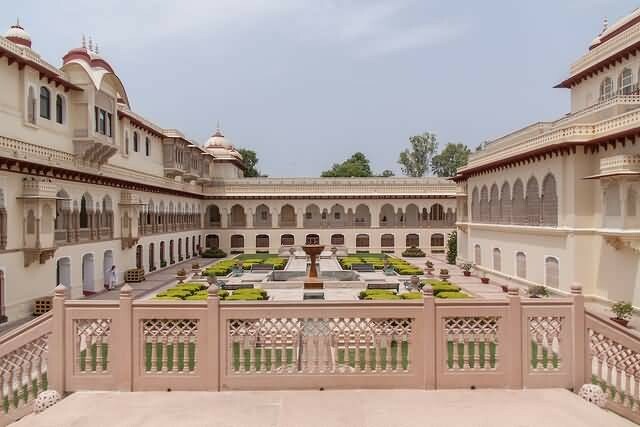 Lalgarh Palace is a palace in Bikaner in the Indian state of Rajasthan, built for Sir Ganga Singh, Maharaja of Bikaner, between 1902 and 1926. 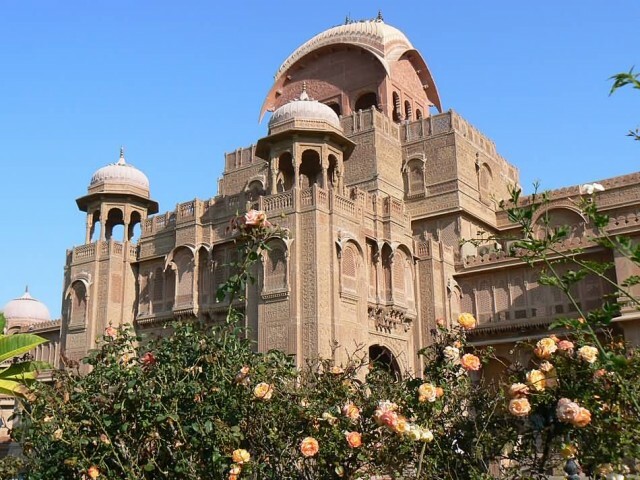 The palace was built between 1902 and 1926 according to Rajput, Mughal and European architectural styles, being largely in the Indo-Saracenic style. 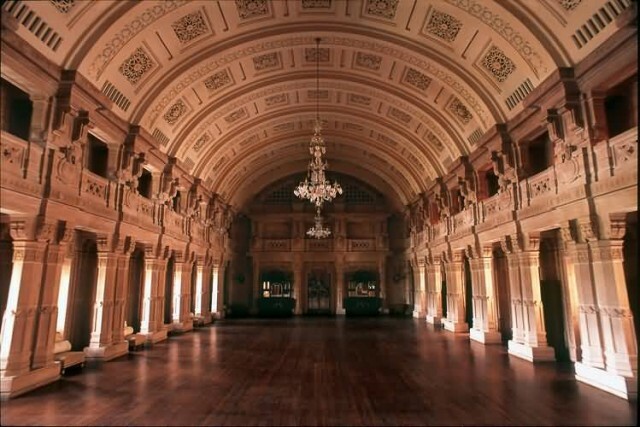 The complex was designed by the British architect Sir Samuel Swinton Jacob. The complex contains the features considered essential for a late 19th-century palace: drawing rooms, smoking rooms, guest suites, several grand halls, lounges, cupolas, pavilions, including a dining room which could seat 400 dinerspresent the palace houses the following: The Shri Sadul Museum which is located in the west wing which also contains the fourth largest private library in the world. The museum is open from 10:00 AM to 5:00 PM on all weekdays except on Sunday. 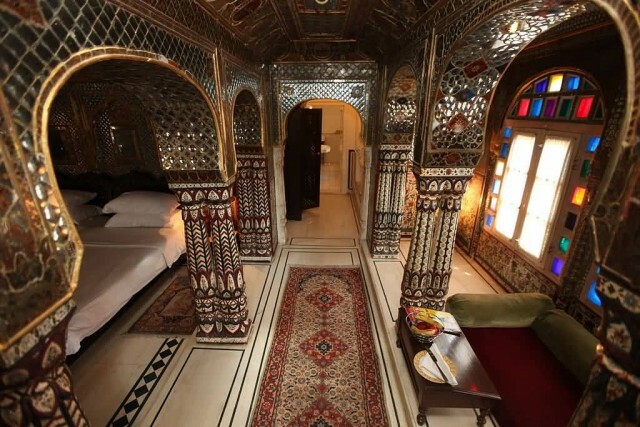 The Samode Palace is located 40 kilometres north of Jaipur city, the Samode Haveli is close to Jaipur and the Samode Bagh or Garden, 4 kilometres from the palace which is also run as a luxury hotel. 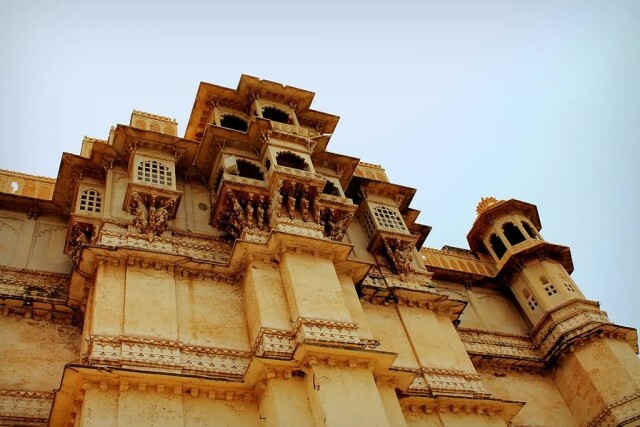 Samode Palace, Samode Haveli and Samode Bagh are heritage monuments and structures built by the noble feudatory with the hereditary title of ‘Maha Rawal’ or ‘Maha Saheb’ of the Amber and Jaipur principality in Rajasthan, India. 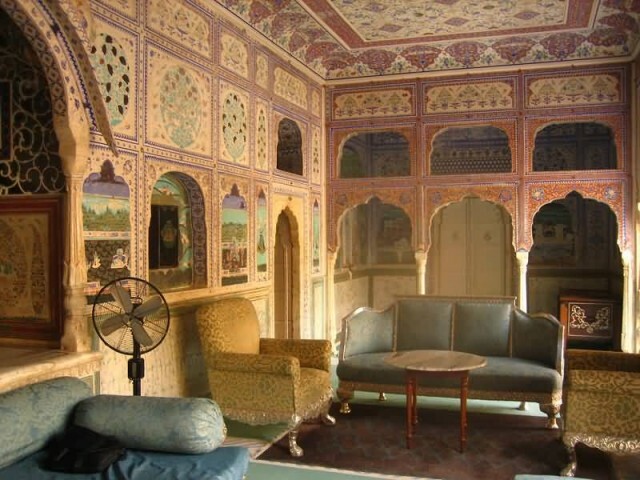 The interiors of the palace are composed in the ancient architectural style of Rajasthan: marble floors, intricately ornamented pillars, mosaic walls with tiny pieces of small inlaid stones, with luxurious carpets and decorated with old wall paintings hunting scenes, floral motifs and so forth. The Sheesh Mahal (Hall of Mirrors) is located on the southern side of the palace. The frescoes in the Durbar hall and in the Sultan Mahal are said to be 250 years old. The palace is built on three levels planned in a sequence of courtyards of increasing height with a patio on each floor. 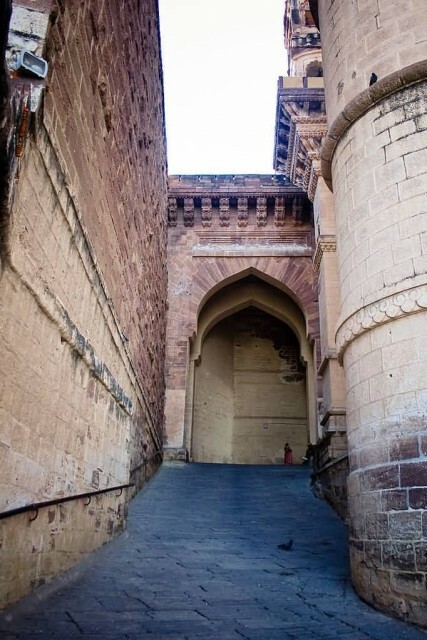 Mehrangarh Fort located in Jodhpur, Rajasthan, is one of the largest forts in India. The fort is situated 120 metres above the city and is enclosed by imposing thick walls. Inside its boundaries there are several palaces known for their intricate carvings and expansive courtyards. The fort is situated 120 metres above the city and is enclosed by imposing thick walls. Inside its boundaries there are several palaces known for their intricate carvings and expansive courtyards. 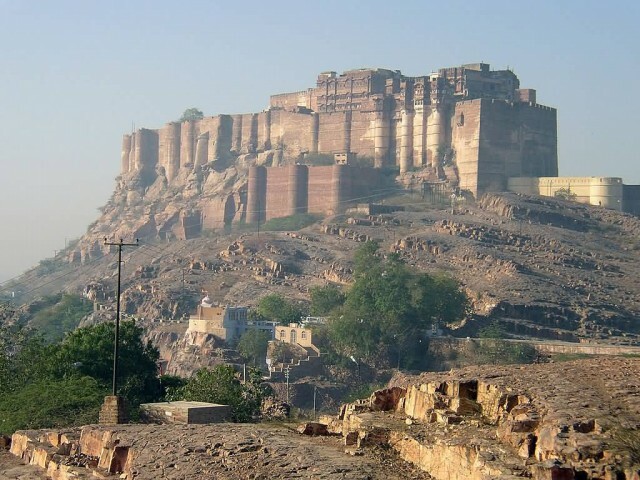 The Jodhpur Group – Malani Igneous Suite Contact on which the Mehrangarh Fort has been built has been declared a National Geological Monument by the Geological Survey of India to encourage Geotourism in the country. This unique geological feature is part of the Malani Igenus Suite. 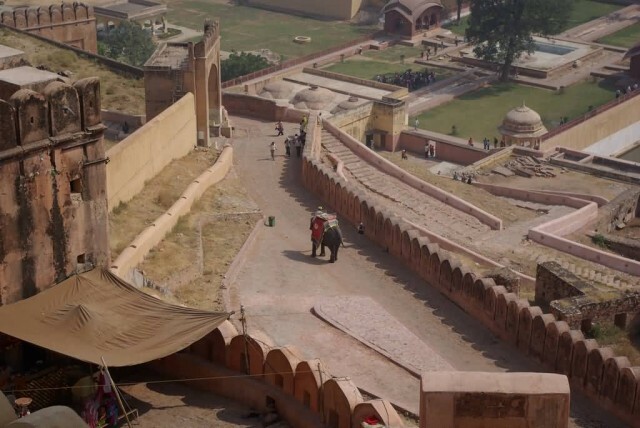 The 500-year-old fort is a popular site for filiming.